Past vice chair of the Trenton Housing Authority Dr. Jennifer Warren will discuss public housing and the relationship with health issues during a lecture at Mercer County Community College Nov. 21. WEST WINDSOR – A former member of the Trenton Housing Authority board will address the link between poverty, substandard housing, and illnesses among seniors and the disabled during a lecture at Mercer County Community College (MCCC). 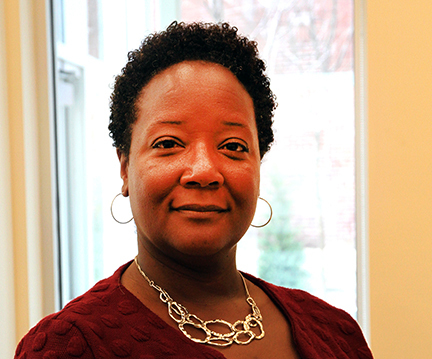 Dr. Jennifer Warren will deliver the lecture “Engaging Low-Income Senior/Disabled Residents to Understand the Relationship of Housing Quality Inequities and Health” at noon on Tuesday, Dec. 5 in the Communications Building, Room 109. Her talk is part of MCCC’s fall 2017 Distinguished Lecture Series at the West Windsor Campus, 1200 Old Trenton Road. The lecture is free and open to the public. Warren will discuss that an estimated 1.1 million households live in public housing, with more than half being senior citizens or individuals with a disability. With the majority of those households living below the poverty level, under high-stress conditions, and in sub-standard housing within disordered neighborhoods, Warren says, investigating the relationship of these challenges to health is critical. Warren is past vice chair of the Trenton Housing Authority Board of Commissioners and founder of the Housing Health and Wellness Task Force. She will discuss her community engagement work advocating for enhanced housing quality issues for seniors and disabled public housing residents, stressing the impact of housing on health and quality of life. Copyright © 2016, Mercer County Community College. All Rights Reserved.